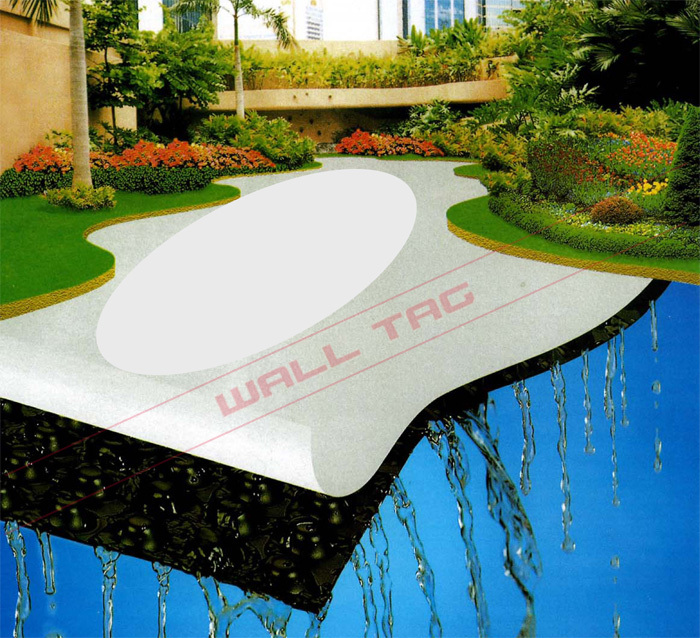 Tag-Drain Dimple Mat is designed as a flexible subsoil drainage mat for roof gardens, landscape decks or plazas and planter boxes. Weighing less than 1kg/m2 Tag-Drain Dimple Mat reduces the loading on concrete decks as compared with gravel drainage layers. This lightweight material also eases transportation and handling. Tag-Drain Dimple Mat has a free surface that is at least 90% permeable to water, and has a high flow rate of 60 lit/min/m at 1% hydraulic gradient, allowing it to efficiently drain off seepage water. Tag-Drain Dimple Mat has a compressive strength of 200kN/m2 and can withstand instaallation loads and soil loadings. Its 1.0 metre width saves installation time and can be cut to fit any shapes or profile.